We’ve heard from a few former clients that they have finally been able to retrieve their possessions that were in storage at Sun Park over the last couple of days. If you have property there still, take photo ID with you and you should be able to collect your stuff. The Sun Park saga was aired on the BBC television programme Rip Off Britain Holidays, this morning. You can read a synopsis of it here: BBC Rip Off Britain. It appears it is still possible to book accommodation at Sun Park on their website. It’s an absolute scandal that the website is still able to take money for a booking. Despite Sun Park’s emails offering clients the chance to re-schedule their holidays for any time between 1st January and 31st December this year, the place remains closed and abandoned as of today. A security guard remains in place and is refusing access, even to people who simply want to collect the goods they have had stored there. The BBC televisions programme Rip Off Britain – Holidays has been investigating for some time, and will be running the story during the current series on UK’s BBC One. The Sun Park website is no longer taking bookings, but is still live. People with bookings are now receiving emails invoking the “Force Majeure” clause in Sun Park’s bewildering list of booking terms and conditions. The email claims “This reschedule derives from a serious incident with penal consequences occurred in June 2018, perpetrated against the Hotel by local organised crime, with the help of some identified parties who colluded in perpetrating the crime, to fraudulently rob and take over the Hotel and harm the community by bringing both into disrepute using false allegations and accusations. It goes on to say that those with bookings will be able to take their stays between 1st January 2019 and 31st December 2019. 1/ Why is this claim being made now, some 4 months after the alleged crime? 2/ Why were clients assured days before they travelled that all was well, resulting in them being turned away from accommodation they had paid for? 3/ If the hotel is a crime scene, why were people allowed to continue to stay there for months, contaminating the scene? And why is it being “guarded” by a private security guard, rather than the police? 4/ If the hotel is a crime scene, why is the Sun Park website still taking bookings today for stays in January? Do they know it will no longer be a crime scene from that date? But the most obvious one is this: If your property was stolen, taking away your income and threatening your business and goodwill, you’d be shouting about it from every rooftop. I know I would. 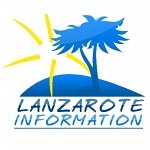 I would have contacted every newspaper and website with any connection to Lanzarote to tell them the story. This article has been live since July. Sun Park have even referred to it in some emails to their clients dismissing it as “lies.” Since my phone call with Gil several months ago, where he claimed there were no problems and he would make an announcement about the business soon, he hasn’t contacted me. There’s lots of information (over 20 pages of it!) on this Trip Advisor thread. A reader has contacted the British Consulate in Las Palmas. Whilst they can’t get involved in what is a private contract, they were concerned that British Nationals are being affected and they contacted the Guardia Civil in Yaiza. They were told that Sun Park is not operational, and that there are a few people still on site who are having difficulties with access to water and electricity, and that the matter is being investigated by courts in Arrecife. For people who still have personal possessions in storage at Sun Park, the Guardia Civil advise asking the security guard at the gate for access to retrieve their possessions, and if they are denied access, they should make a report to the Guardia Civil office in Yaiza. Still no real news, but several updates from readers. The Sun Park website was temporarily redirecting to a casino website for several days last week, although it appears to be back online now. Bookings are still being accepted on it for stays from 1st October this year. The Manchester telephone number that was used for enquiries has been disconnected. People with bookings, who are emailing Sun Park, are being told that there is no problem there and that everything will be fine when they arrive. As well as a reassurance that people’s bookings are “safe and guaranteed,” they are also being reminded of some rather bizarre terms and conditions labelled “anti social behaviour,” which is basically denoted as saying anything bad about Sun Park on or off line, but most especially on social media. Sun Park’s own Facebook page has had all content added since January of this year removed from it. One reader, who received such an email reassurance, arrived over the last few days, to once again be turned away by the security guard, and he has also made a denuncia to the Guardia Civil. Although new arrivals are not being allowed admittance, there are a few long term residents remaining on site, and they are having to deal with water supply issues, one swimming pool being empty and the other where the water is “almost black.” The section where washing machines are housed is locked, so they can’t get into it, and the supermarket on site is currently packing up to move out. I still don’t know what’s behind all this, or what the possible outcomes are in the short and medium term. What I do know is that what is currently happening is unforgivable. All of the people affected by this are in their later lives, many are single, most are on fixed incomes. To cynically assure those people that they should turn up for their booking, knowing full well that they will be turned away, perhaps late at night and in a foreign country, is appalling. The reader referred to in the original article below has been in touch again – he was turned away from reception when he arrived for his booked holiday. He too has now visited the Guardia Civil in Yaiza and has made a denuncia. We were also sent these images showing the current state of the swimming pools at Sun Park. These were taken on July 18th. “Clients with a valid reservation, such as yours, have access to the hotel. You just need to bring along your invoice and pick up the key to your apartment from the red box behind the counter in reception, as you’ve always done before. Please disregard all gossip, is ill-informed and intended to stop regular clients from returning to Sun Park. “I showed the security guard all paperwork from Sun Park confirming l had paid. He kept messaging his employers but long and short he said l could not have admittance. The local police were called and everyone was very helpful. The police said l would need to go to Yaiza to make a complaint to Guardia Civil, which l did on the Tuesday. Again, they were very helpful and said they knew about Sun Park because of a court case. They recommended an interpreter as l would need to make a statement. They rang one for me and l made an appointment to return the next day (Wednesday ). I made a statement which police typed out and stamped, gave me a copy, copy for them and copy for court. The interpreter suggested l speak to a lawyer who could act for me. Fortunately, she was able to arrange alternative accommodation and is now enjoying her holiday elsewhere. Sun Park Living is the over 50’s community set up in Playa Blanca some years ago. The aim was to provide an affordable way to long term let properties to “long stayers” visiting the island, filling the gap between holiday lets and formal long lets. We don’t really know what has happened there in recent weeks, but we have been contacted by a number of readers asking us for information. We have been unable to get answers, either from Gil Marer, who told us he wasn’t ready to release some “new information,” or from the company handling bookings for the accommodation, who are not answering their telephone. We do know that all the events that take place there weekly have been cancelled, that there is a security guard on the gate signing people in and out, that someone purporting to be the owner has visited the premises and talked about redeveloping the site, and that people who have paid to stay there are concerned about their upcoming visits and whether their bookings will be honoured. We were contacted this morning (19th July) by a reader who had paid £1000 to stay there from the 14th July, and he was refused entry to the premises by the security guards on arrival, despite providing evidence and receipts. Fortunately, he was able to find other accommodation at short notice, and as he paid Sun Park via credit card, he is hopeful that he can get a refund from his bank. He is also contacting the police. 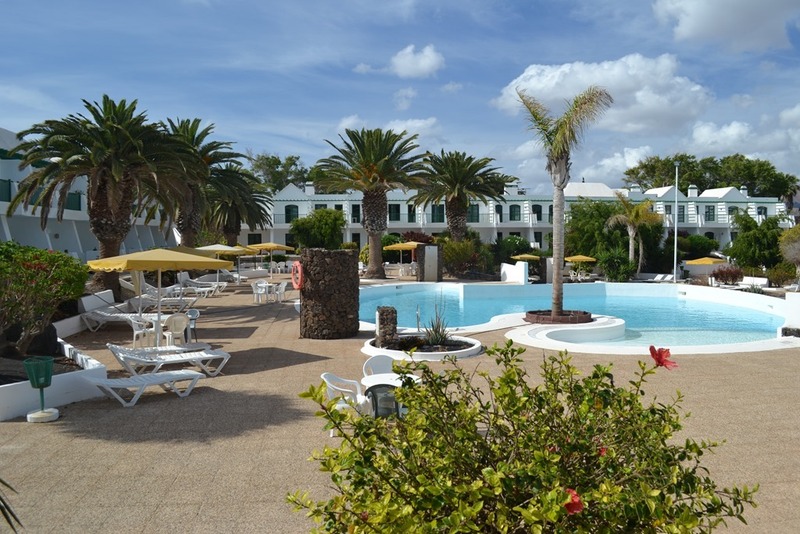 Another reader had booked to stay at Sun Park Living for three weeks from Monday 15th July and she was also refused entry, and she is now staying in Arrecife. She made her booking as recently as 8th June. We’ve heard from other readers who have booked and who have contacted Sun Park’s UK office as they are concerned, and they have been told “Not to listen to rumours and that everything will be fine.” That clearly isn’t the case. Worryingly, the Sun Park Living website is still taking bookings as of today. Our advice is not to book anything with them until things become clear. If we hear of any updates, or in the unlikely event that they contact us with new information, we’ll post it on this page.